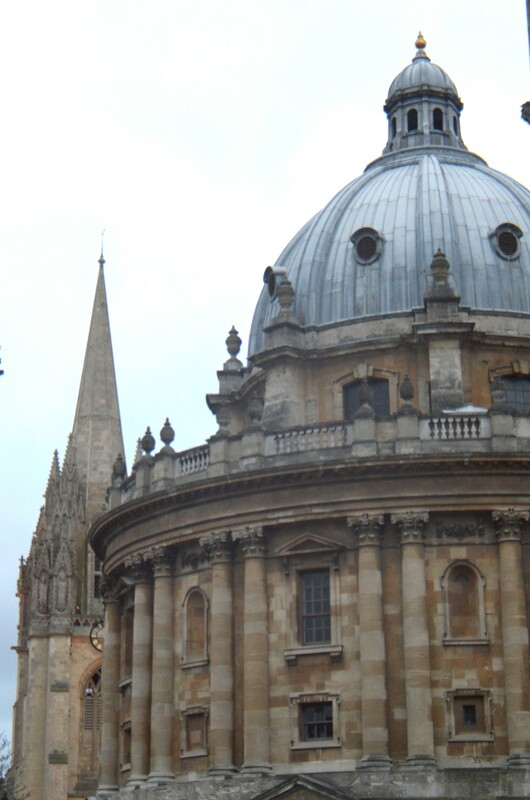 As part of my tour of Europe I visited Oxford in southern England. A personal favorite was the Museum of the History of Science. 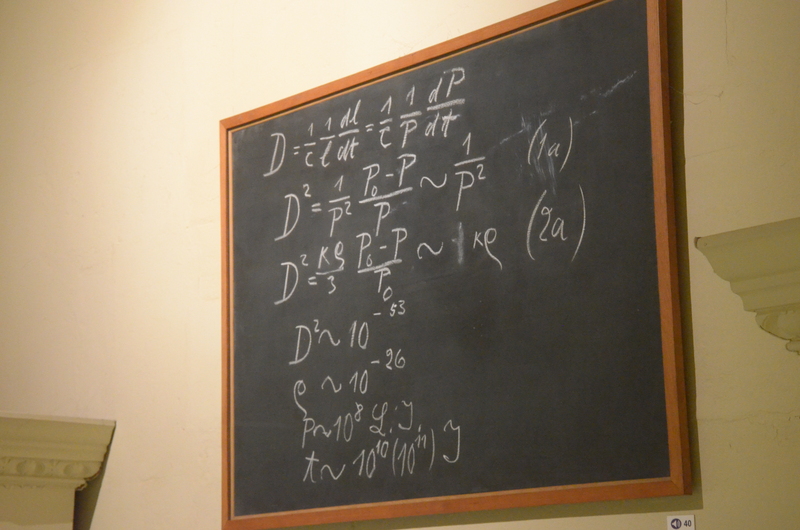 When Albert Einstein came to Oxford to give a seminar in 1931, someone saved the chalkboard and now it is in a museum. Never erase chalkboards after seminar? 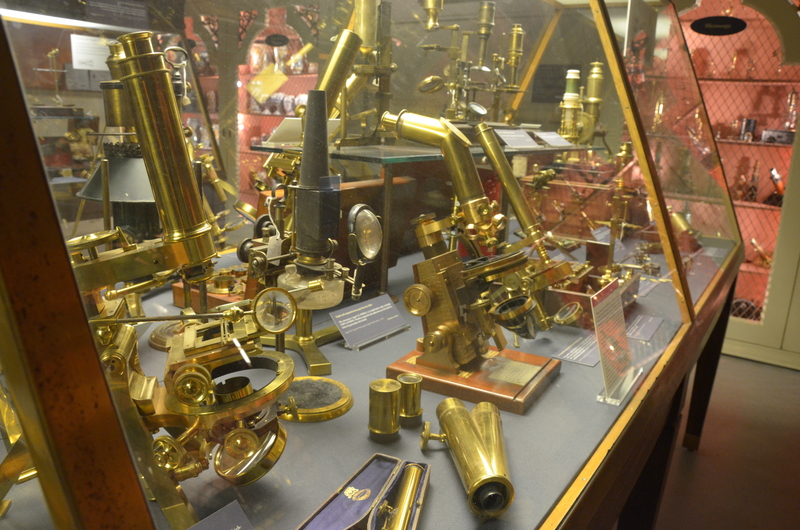 They had an ample collection of vintage microscopes, including these of the single lens variety. 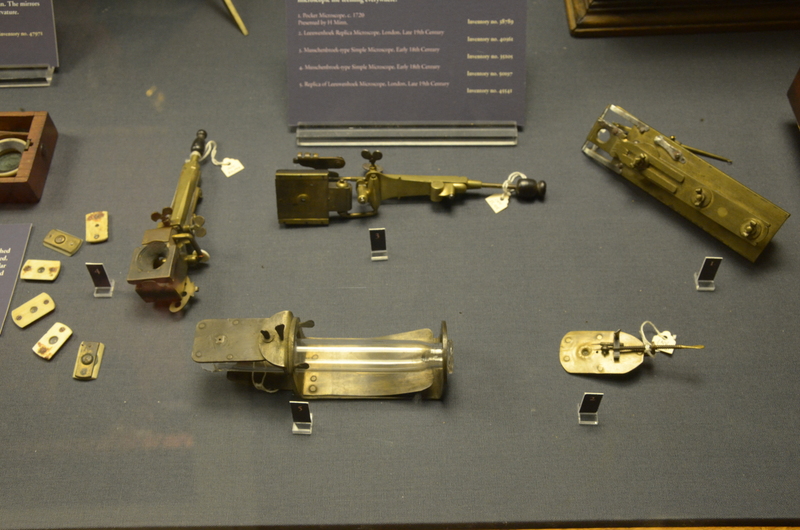 The Leeuwenhoek microscope replicas are museum pieces in their own right: 1800s recreations of 1600/1700s technology. 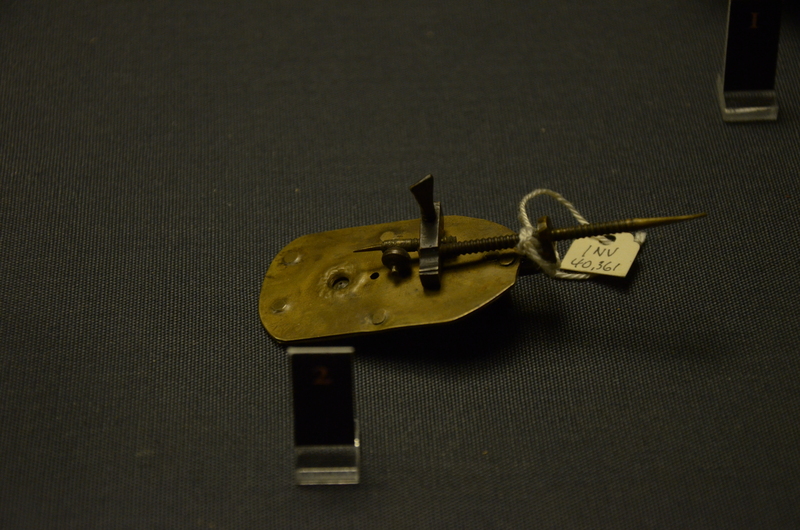 You can see that the simple objective is stopped down substantially, limited by a small hole in the brass. 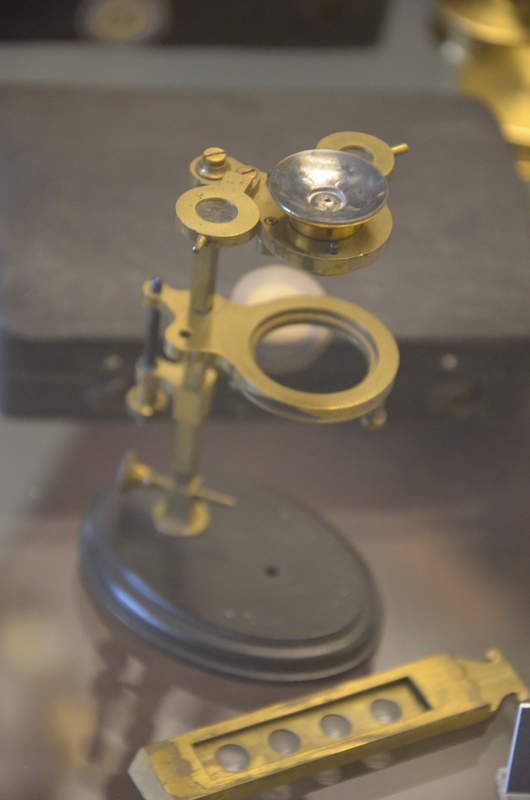 Simple microscopes had better resolution than their early compound counterparts, which suffered from the aberrations brought on by all the extra optical elements. Single lens microscopes, essentially ball lenses, mainly suffered from spherical aberration, which can be decreased by limiting the aperture diameter as seen above. I am fairly certain the objective on the above simple microscope is mounted upside down, but that gives us a good view of the Lieberkühn reflector. 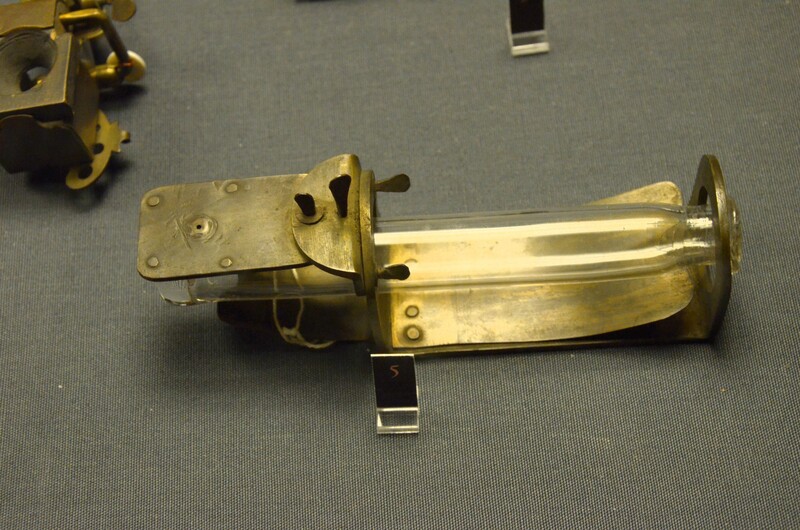 The reflector, a concave mirror around the objective lens, was used to illuminate a specimen with epi-fill light across a wide range of angles. 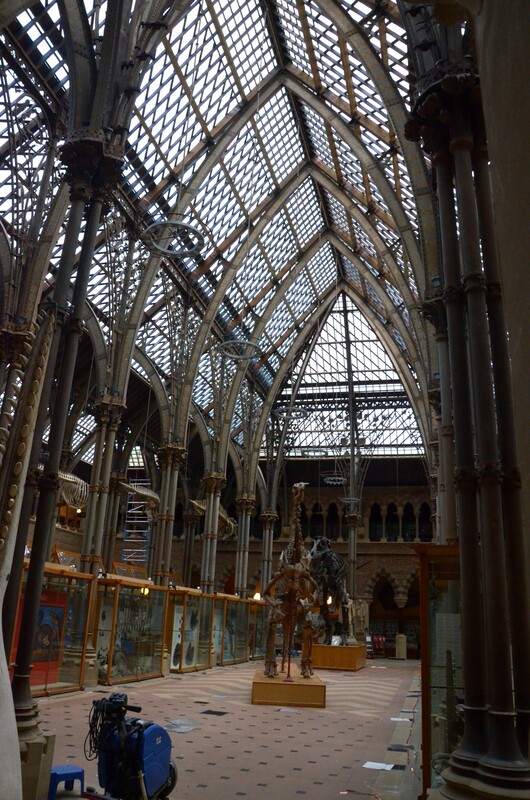 The Oxford Natural History Museum was down for maintenance, but I walked through on the way to the Pitt Rivers Museum. The Pitt Rivers Museum includes shrunken heads (the trick is to take all the head parts out first) among many, many other specimens. Even a modicum of interest in anthropology will keep you in the museum for hours. 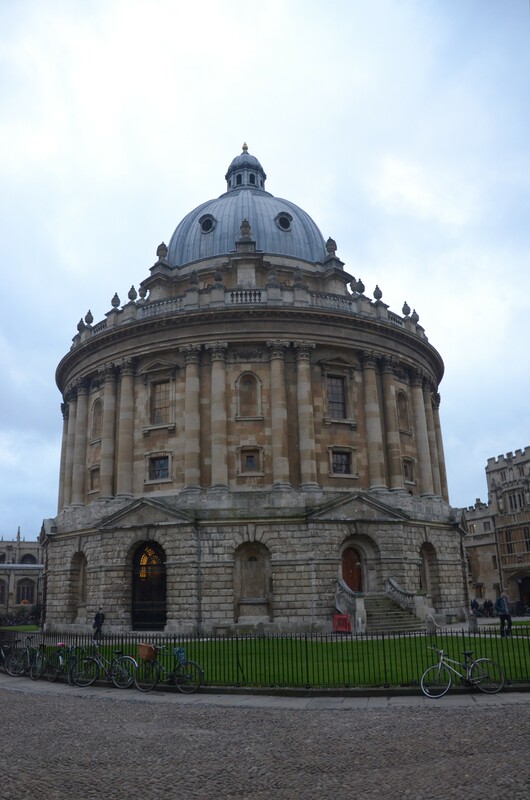 The Radcliffe Camera may be my favorite building in Oxford. It is much larger than it appears in pictures. Compare the view through a not so wide-angle lens (above) and wide-angle lens (below). 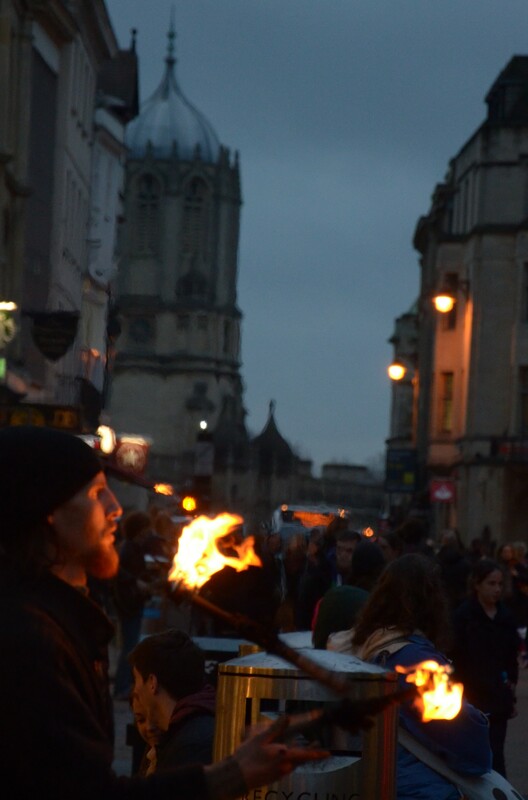 I tried to capture the schlieren effect created by the heat rising from this juggler’s clubs, which you can make out on the right edge of the tall building in the background.